Congratulations to Maxine Yazzi and Lendell Johnson! 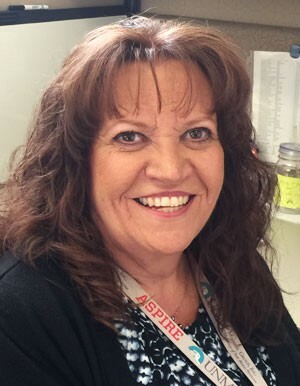 Maxine Yazzie is a Clinic Coordinator in the Medical Oncology clinic. Maxine has been instrumental in helping to train new RNs and other team members new to the clinic. She is helpful, kind, and a great preceptor. 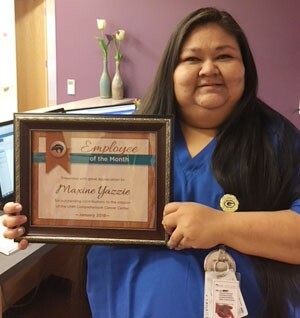 Thank you, Maxine, for exemplifying the Behaviors of Excellence! Lendell Johnson started out as a Coding Intern in February of 2016. She completed the 6-month program and was able to grasp coding concepts very quickly. She was then hired full time in August of 2016. Since joining our team she has demonstrated excellent coding skills and dedication to the coding department and the UNM Cancer Center. Lendell is very helpful to new employees and can be depended upon. We are fortunate to have her as part of our team! !